Sad news, but happier times soon. Mark 5/21 on your calendars! Abbott Kinney Street Festival in Venice, and other fun events - enjoy! Tonight was an interesting mish mosh of events, oh I mean morning. 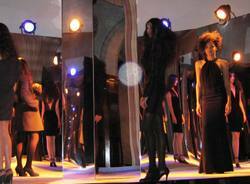 Pix from GenArt, Fashion Week, Cambria & Big Sur - Finally! How stupid do you think I am? American Girls rock! The Galley Restaurant - it's not too late to catch 1934 day! I'm feeling lazy - here's my blog in picture format. Enjoy!